and Pinterest Boards of the same name. But bamboo may truly be at its best at The Raffles Hotel in Singapore. There isn't anything I don't love about the British Colonial decor in this iconic hotel. 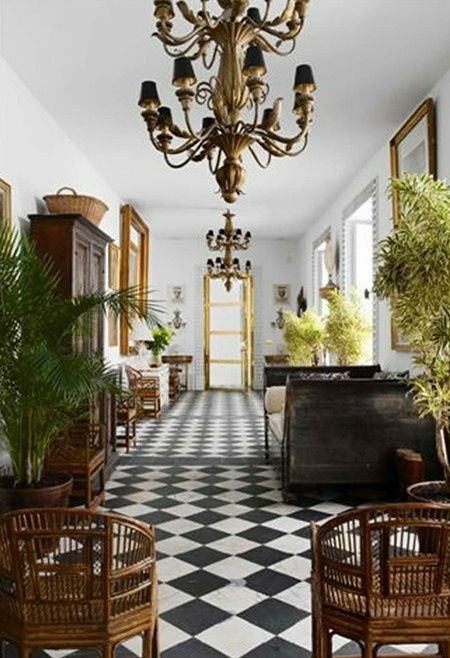 And black and white checked floors plus giant potted palms. Happy Friday - hopefully there's a tropical destination with bamboo chairs in your future!